Prevent all effects of attacks, including damage, done to each of your Benched Pokemon and each of your Pokemon has no Weakness. Discard 2 Energy cards attached to Azelf. Comments : Put this card onto your Active Azelf. 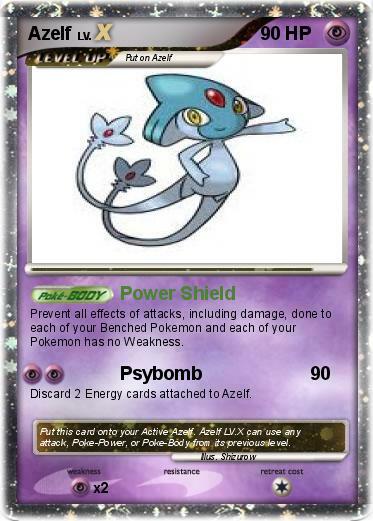 Azelf LV.X can use any attack, Poke-Power, or Poke-Body from its previous level.